West Papua (also commonly or formerly known as Papua & Papua Barat, West New Guinea, Irian Jaya, West Irian) is a former Dutch colony, under the administrative block of the Dutch East Indies until 1962. 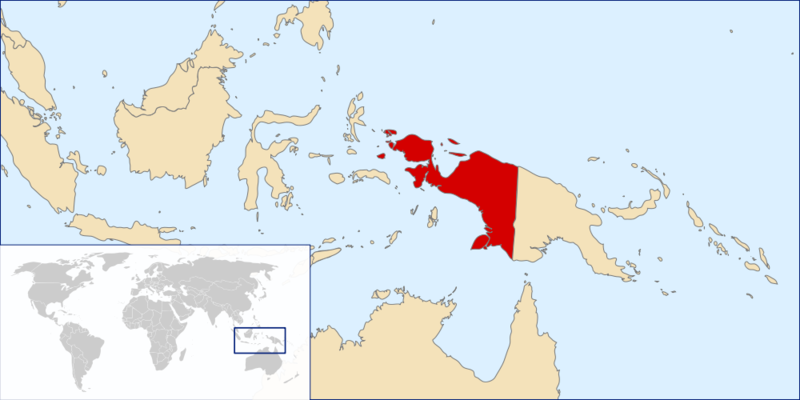 When the state of Indonesia was formed in 1949-50, Jakarta argued that West New Guinea – West Papua – was historically part of the Indonesian nation and should be incorporated into the newly independent Republic of Indonesia. The Dutch refused, and held onto the colony throughout the 1950s. As diplomatic tensions and military confrontations grew during the 1950s, the U.S. leant on the Dutch to accept the 1962 New York Agreement, whereby administration of Papua would be transferred to a United Nations Temporary Executive Authority – the first of its kind – before passing over to Indonesia. A referendum on incorporation would be held ‘according to international practice’ by 1969 (Musgrave, 2015: 218-9). The 1969 referendum, named the ‘Act of Free Choice’, is widely regarded to have been rigged. 1,022 hand-picked Papuans were bribed, cajoled and coerced into voting in favour Indonesian rule (Saltford, 2003). The British Ambassador at the time described the result as a ‘foregone conclusion’, despite the US Ambassador arguing (p.3) that ‘possibly 85 to 90%’ of the Papuan population ‘are in sympathy with the Free Papua cause’. A 2016 report from the Politics of Papua Project at the University of Warwick notes that Indonesia ‘had extremely tight control over the process’. The most comprehensive study of the events, Dutch historian Pieter Droogleever’s 900-page An Act of Free Choice (Droogleever, 2009), comes to the same conclusion. The outcome of the referendum was ‘noted’ by the UN General Assembly in Resolution 2504(XXIV), despite dissension from some African states. The profile of the conflict is growing internationally, regionally, and in the UK. With the formation of the ULMWP in Dec. 2014, Papuan representatives have been fighting a diplomatic battle with Indonesia in the Pacific over membership of the sub-regional organisation, the Melanesian Spearhead Group (Elmslie, 2015). The issue of Papuan human rights has been raised several times by Pacific governments at the UN, and UN Special Rapporteurs have repeatedly voiced concerns over abuses in West Papua during the last decade. Jeremy Corbyn, Leader of the Opposition in the UK, recently stood up for human rights in Papua and even called for a new referendum on independence. For a detailed overview of human rights abuses in the region, see our human rights page. Droogleever, P. (2009), An Act of Free Choice: Decolonization and the Right to Self-Determination in West Papua, Oneworld Publications: Oxford. Elmslie, J. (2015), ‘Indonesian Diplomatic Maneuvering in Melanesia: Challenges and Opportunities’, in (eds.) Azizian, R. & Cramer, C., Regionalism, Security & Cooperation in Oceania, Asia Pacific Centre for Security Studies: Honolulu. Musgrave, T. D. (2015), ‘An analysis of the 1969 Act of Free Choice in West Papua’, in (eds.) Chinkin, C. & Baetens, F., Sovereignty, Statehood and State Responsibility: Essays in Honour of James Crawford, Cambridge University Press: Cambridge, pp.209-228. Saltford, J. (2003), The United Nations and the Indonesian Takeover of West Papua, 1962-9: The anatomy of betrayal, Routledge Curzon: London.